Hungarian physician; born at Halas, Hungary, Sept. 16, 1839; educated at the universities of Prague and Vienna (M. D. 1858). He acted for some time as assistant physician at the communal hospital of Vienna; in 1863 he was appointed privat-docent and in 1870 assistant professor of clinical propædeutics at the university there. 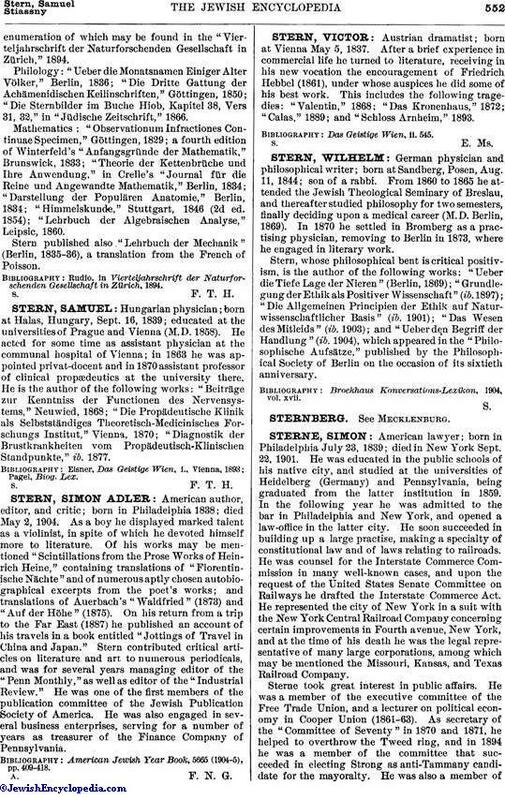 He is the author of the following works: "Beiträge zur Kenntniss der Functionen des Nervensystems," Neuwied, 1868; "Die Propädeutische Klinik als Selbstständiges Theoretisch-Medicinisches Forschungs Institut," Vienna, 1870; "Diagnostik der Brustkrankheiten vom Propädeutisch-Klinischen Standpunkte," ib. 1877.